I am a writer, ghostwriter, translator and editor of over forty books. I specialize in Torah and literary texts, and have also worked on memoirs, as well as books dealing with politics, business and holistic living. If you have a project that you would like to discuss with me, I look forward to hearing from you. Please contact me. My work has been acclaimed by figures such as Rabbi Dr. Norman Lamm (President Emeritus of Yeshiva University), Professor Daniel Matt (professor of kabbalah at the Graduate Theological Union in Berkeley), Cynthia Ozick (leading Jewish-American author and winner of the PEN/Nabokov Award), Professor Howard Schwartz (author and three-time winner of the National Jewish Book Award) and Rabbi Dr. Tzvi Hirsch Weinreb (President Emeritus of the Orthodox Union). To read selections from my books, please go to "Author," "Translator" and "Editor," or click on any title listed below. You may also visit my extensive collection of translations by Rav Kook and other Jewish masters (such as Rebbe Nachman of Breslov and the Piaseszner Rebbe) or read some of my poetry. —Norman Lamm, President, Yeshiva University. —Daniel Matt, The Essential Kabbalah and God and the Big Bang. —David Wolpe, The Healer of Shattered Hearts. Reb Israel Salanter. Historical biography. (CIS Books, Lakewood, 1995). The Vilna Gaon. Historical biography. (CIS Books, Lakewood,1994). The Rambam. Historical biography. (CIS Books, Lakewood,1994). Rashi. Historical biography. (CIS Books, Lakewood,1993). The Ramban. Historical biography. (CIS Books, Lakewood,1992). The Maharal of Prague. Historical biography. (CIS Books, Lakewood,1992). The Chasam Sofer. Historical biography. (CIS Books, Lakewood,1991). The Rema. Historical biography. (CIS Books, Lakewood,1991). Little Psalms. Poetry. (Wings of the Morning Press, Monsey, NY 1987). —Cynthia Ozick, author of The Shawl,winner of the National Book Critics Circle for Criticism and PEN/Nabokov Award, 2008. Charity Elevates a People: Rav Kook on the Value of Charity, by Rabbi Zvi Yisrael Tau (Khosen Yeshuot, Jerusalem, 2016). Selected Paragraphs from Arfilei Tohar, by Rav Avraham Yitzchak Kook, with commentaries by Pinchas Polonsky (Machanaim USA, Newton, MA 2012). An Angel Among Men, by Simcha Raz. Jewish thought. Narratives translated by Rabbi Moshe Lichtman. I translated Rav Kook's letters and selected teachings. (Kol Mevaser, Jerusalem, 2003). —Rabbi Dr. Tzvi Hersh Weinreb, president of the Orthodox Union (OU). —Prof. Howard Schwartz, three-time winner of the National Jewish Book Award, author of Leaves from the Garden of Eden, Tree of Souls, etc. --Rabbi Chanan Morrison, author of Gold from the Land of Israel and webmaster of ravkooktorah.org. Chambers of the Palace: Teachings of Rebbe Nachman of Breslov. Hasidic teachings. Translator and Anthologist. (Jason Aronson, NJ, 1993). Main Selection of The Jewish Book Club. —Howard Schwartz,three-time winner of the National Jewish Book Award, author of Leaves from the Garden of Eden, Tree of Souls, etc. St. Louis-Post Dispatch. Mysticism and Madness: The Religious Thought of Rabbi Nachman of Bratslav, by Prof. Zvi Mark. Academic religious studies. Translator of second half of book. (Continuum Books, London 2009). "The Dybbuk as Imagery and as Psychological State in the Work and Life of Yona Wallach," article by Prof. Zvi Mark, Hebrew Studies, Volume 50, 200, pp. 245-264. Learning from the Tanya: Volume Two in the Definitive Commentary on the Moral and Mystical Teachings of a Classic Work of Kabbalah, by Rabbi Adin Steinsaltz. Hasidic teachings. Translator of the second half of the book. (Jossey-Bass, San Francisco, CA 2005). World's Foremost Authority, by Rabbi Adin Steinsaltz. Hasidic teachings. (Josse-Bass, San Francisco, 2007). Rav Lau on Pirkei Avos, three volumes, by Rabbi Israel Meir Lau (former Chief Rabbi of Israel). Popular Torah ideas. Translator and Editor. (Artscroll Mesorah,Brooklyn, NY, 2006-07). Zichron Av, by R, Yekusiel Yehudah Grunwald, son of the Arugas Habosem. Ethical will. (Feldheim, Spring Valley, 2002). Pathway to Jerusalem: Letters of Rav Ovadiah of Bartenura. Fifteenth century travel letters. (CIS Books, Lakewood, 1991). Experiencing the Divine--Bnai Machshavah Tovah, by R. Kalonymus Kalman Shapira, the Piaseszner Rebbe (Dotletterword Press, 2018). Memoirs of a Yiddish Actress. The Yiddish-language memoirs of Cypora Glikson, a well-known Yiddish actress who lived in Poland as a young woman when the Holocaust began (privately published, New York, NY 1993). At the Window of My Life. The Yiddish-language memoir of Aliza Greenblatt, a well-known Yiddish-American poet and songwriter. This work has only been partially translated. Rabbi Nachman: Seer of Podolia. A translation from the Yiddish of the work by Polish-Jewish pre-World War II journalist and thinker, Hillel Zeitlin. This work has only been partially translated (awaiting publication). With Weeping Eyes: A Holocaust Memoir, by Rabbi Yehoshua Grunwald, rav of Chust (awaiting publication). 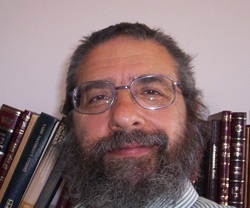 The Noda Beyihuda, by Rabbi R. Weingarten. Historical biography. Translator and Editor. (CIS Books, Lakewood,1990). Song of Teshuvah: A Commentary on Rav Avraham Yitzchak Hakohen Kook's Oros Hateshuvah, four volume work, of which two volumes have been published, by Rabbi Moshe Weinberger. Jewish thought. Editor of Rav Weinberger's text, and translator of Orot Hateshuvah. (Penina Press, Jerusalem, 2011). —Rabbi Chanan Morrison, review for Tradition magazine. Rebbe Nachman's Torah, three volumes, by R. Chaim Kramer. Hasidic thought. (Breslov Research Institute, Jerusalem, 2011-2012). Artscroll Commentary on Mishlei/Proverbs, Volume Two, by Rabbi Eliezer Ginsburg. Biblical commentary. (Artscroll Mesorah, Brooklyn, NY 2006). Artscroll Commentary on Shmuel I/Samuel, Volume One, by Rabbi Eliezer Ginsburg. Biblical commentary. (Artscroll Mesorah, Brooklyn, NY 2005). People of the Book, by Osher Chaim Levene. Biblical studies. (Feldheim, Jerusalem, 2008). The Man Who Stopped the Trains to Auschwitz (history) by Prof. David Kranzler (Syracuse University Press, Syracuse, NY 2000). The Case of Hotel Polski (history) by Abraham Shulman (Holocaust Press, New York, NY 1982). Adventures of a Yiddish Lecturer (humor) by Abraham Shulman (Pilgrim Press, New York, NY 1980). Gutta: Memories of a Vanished World, by Gutta Sternbuch. Holocaust memoir. (Feldheim, Jerusalem, 2005). –Professor David Kranzler (prize-winning historian and author). –Dr. Sarah Kadosh, Holocaust historian in Jerusalem. Charlie Reminisces (privately printed, 2002). Put in book form the autobiography of philanthropist, which was commissioned for his family. Hope for Our Nation: Guyana Vision, 2020, by Peter R. Ramsaroop (Evolvent Press, Washington, DC, 2004). Gathered and edited author’s writings on his political platform into a full-length book. Surfing the Leadership Wave, by Peter R. Ramsaroop (Evolvent Press, Washington, DC 2003). Aided significantly in research, writing and editing of book on leadership by the CEO of EVOLVENT Technologies, Inc.
“Yaacov Shulman’s creative writing skills and research skills were excellent and more than met my expectations”— Peter Ramsaroop. Securing Business Intelligence: Knowledge and Cybersecurity in the Post 9/11 World, by Peter R. Ramsaroop and Bill W. Oldham (Evolvent Press, Washington, DC 2004). Aided significantly in research, writing and editing of book. Healthy, Wealthy and Wise (privately published, 2003). Revised, reshaped, researched and added original material for a book on health, finances and personal growth. “Yaacov rescued a floundering project, and brought it back to a vital life! I found Yaacov a pleasure to work with: bright, quick, responsive, and sensitive to my ‘writer’s voice’ as well as my intent for the project. I recommend him highly”—Dr. David Kamnitzer.